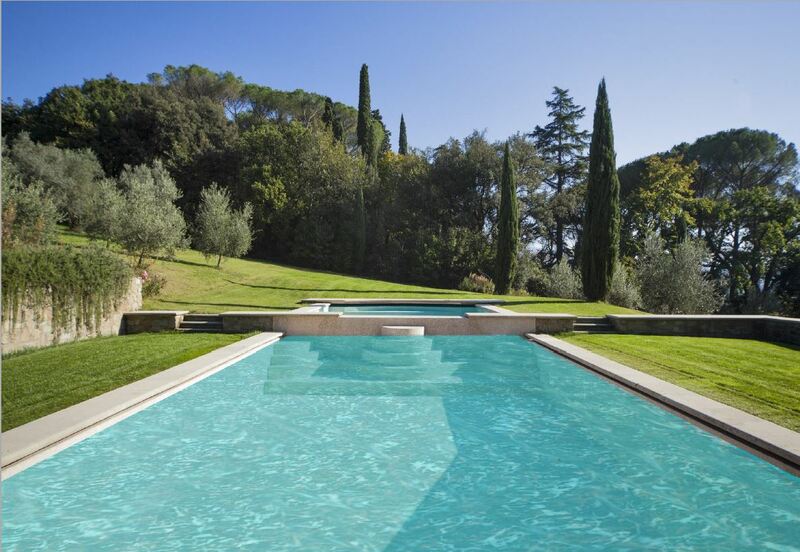 You are at:Home»Luxury Property Europe»Villa Michele, Florence, Italy. 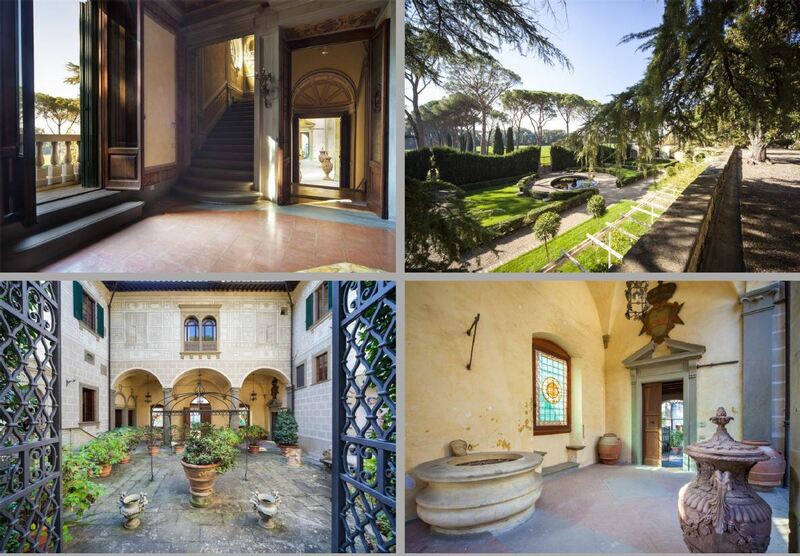 This majestic Tuscan palace is one of the region’s, and indeed Italy’s, finest properties. 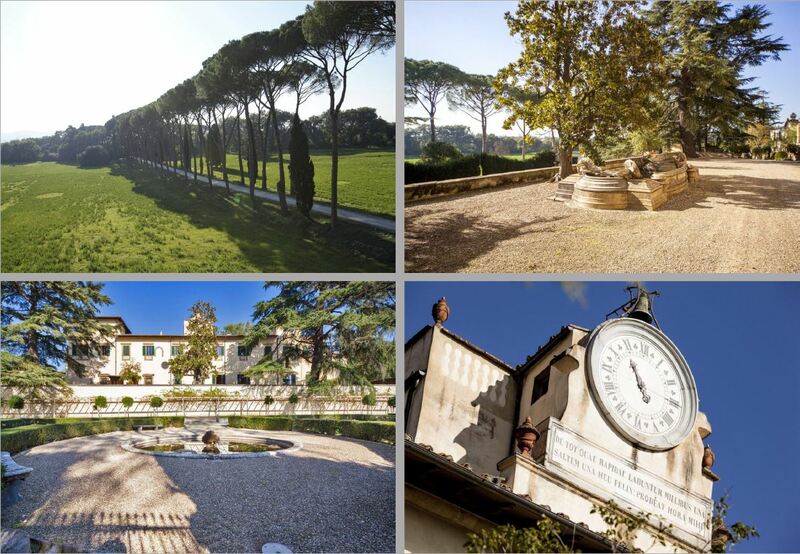 Located just 10 minutes from central Florence in a private park the villa stands regally within its landscaped grounds. The façade of this prestigious Tuscan villa dates back to the 17th century when one of the city’s ruling family’s built the property and today boasts beautiful original works alongside contemporary comforts for 21st century living. The cloistered courtyard into which one enters the property immediately gives one a sense of the history and grandeur of the residence and also provides a shaded place for outdoor living and dining in the summer months. The three principal floors of the Tuscan palace are linked by an ornate stone and gilt stairway and a lift. In total the there are 1,800 sqm of floor area with state rooms on the ground floor and bedroom suites and further living rooms to the first floor. All the rooms to the ground floor boast high ceilings, superb frescoes, painted and coffered ceilings and majestic fireplaces. The quality of all the bathrooms is of the highest standard as well as generous dimensions. On each floor one finds kitchen facilities. To the top floor of the property one finds further rooms ideal for children and staff which lead to the rear of the clock tower; the clock tower being the centre piece of the facade. The lower ground floor of the villa, with its vaulted ceiling and cobbled floors, is a charming space for rustic dinners and entertaining with wine cellars and gym facilities to the rear. 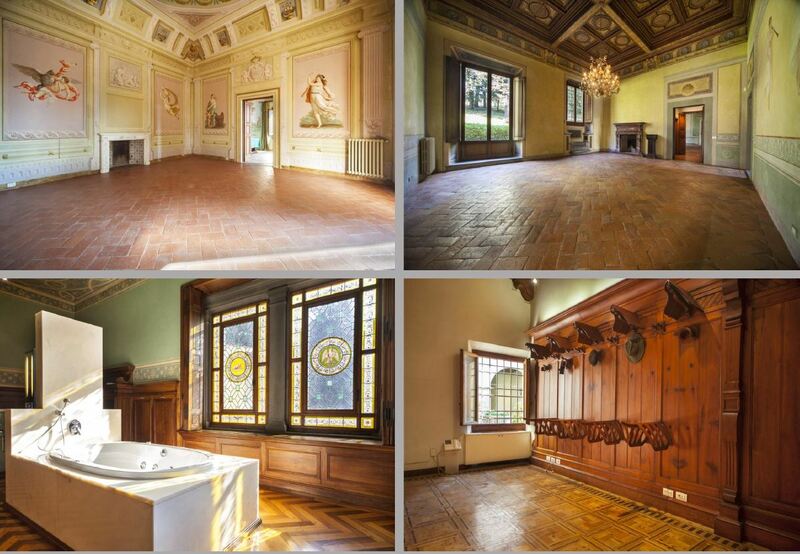 The level of restoration is truly exceptional due to the property’s full restoration in 2001. The contemporary features set alongside 400 year old features make this one of Tuscany’s most prestigious and unique residences. Accompanying the villa are 12 hectares of land. The land wraps around this prestigious Tuscan villa providing ordered gardens, arable land, olive groves, a swimming pool area, parkland and the tree-lined avenue. In the grounds there are a three further residences totalling 1000 sqm in floor area. All three residences are restored to a very high standard and are also available for purchase. Located just 3km from central Florence and a short distance from the motorways allows quick access to all services, amenities and transport.